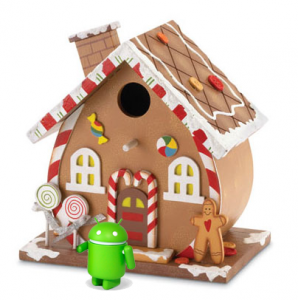 Gingerbread aka Android 3.0 Details Released, Bad News for DROID 1? Android 3.0 Gingerbread will be released in mid- October (around 15 -16th), 2010. First handsets shipping in November/December – for the Holiday Season. Completely revamped user interface. If you want to get a feeling of what Android 3.0 Gingerbread UX is like, check out the Gallery App on Nexus One. The same overall feel, light animated transitions,etc. Natively, through all the UI. Basically we’ve got higher end devices moving forward onto some amazing things while every other device prior to the Incredible will be pushed aside and stuck with Froyo. Of course, we can still expect more updates to Android 2.2, but the fragmentation created between 3.0 and 2.0 devices will be dramatic. Just what Android needed right? More fragmentation. Update: As many of you have pointed out, who the heck is Eldar Murtazin and why is he any sort of authority on Android releases? And are we even sure Gingerbread will be 3.0? Questions which will likely go unanswered until we hear from Google. One thing I will say to those of you still holding a Droid 1, Verizon does offer 1 year upgrades, so you’ll be able to pick up one of these 3.0 devices as an X-mas present to yourself.